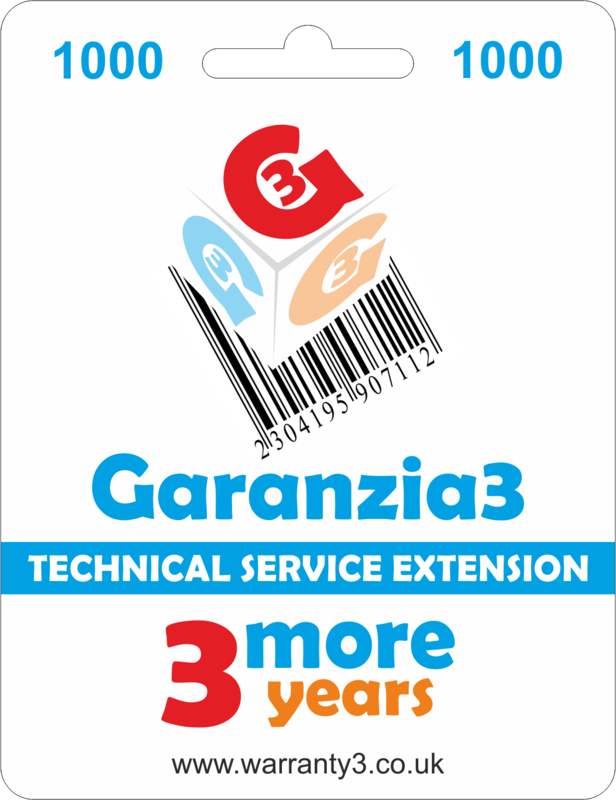 3 years (36 months) of Technical Service Extension of the product after the legal guarantee. WHAT IS MEANT BY MAXIMUM? The repair coverage cap is related to the type of certificate purchased. 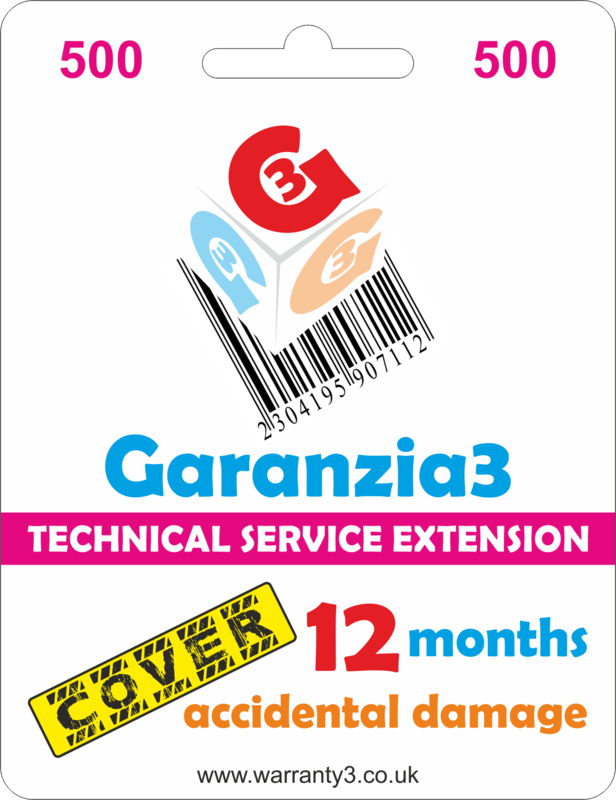 The user has the right, in the three-year of the warranty extension period, to an unlimited number of interventions. 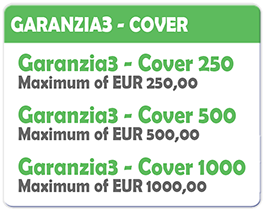 The maximum indicated on the certificate represents the maximum sustainable cost for each restoration, replacement of the product, or possible refund. 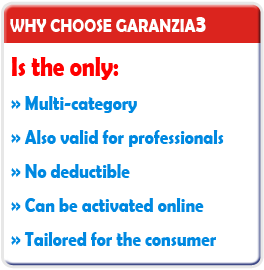 In the event that the product cannot be repaired, Garanzia3 will propose its replacement or reimbursement for the value of the purchase of the asset deducting, for each year, a percentage of 10% from the purchase value. The user has the right, over the course of 12 months extension, to a single intervention only in case of accidental damage. The maximum indicated on the certificate represents the maximum sustainable cost for the single repair or possible refund of the product. 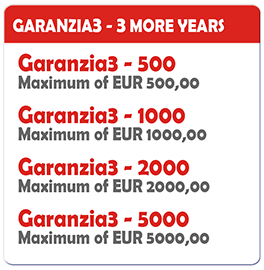 If it is impossible to proceed with the repair, , Garanzia3 will propose the reimbursement of its purchase value reduced by 30%.